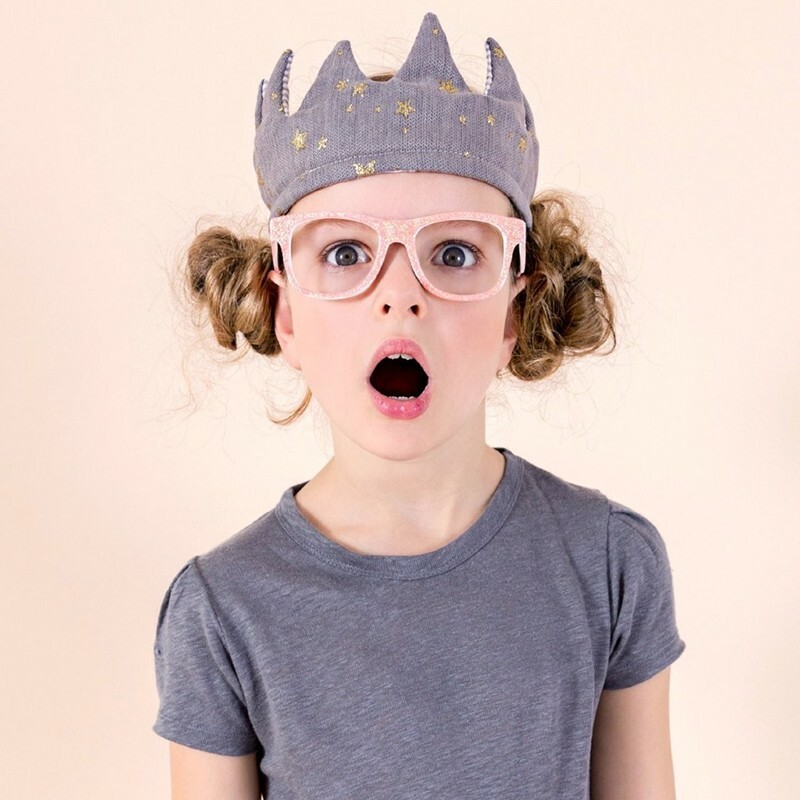 For children rom 3 to 10 years old. 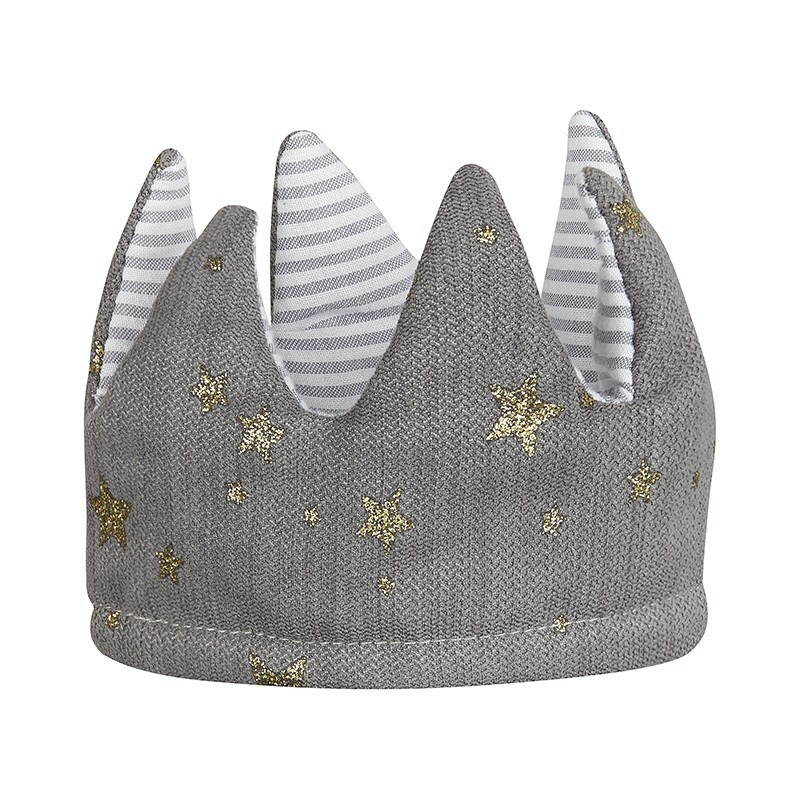 Delightful fabric reversible grey and gold crown. Super soft on both sides and padded inside. 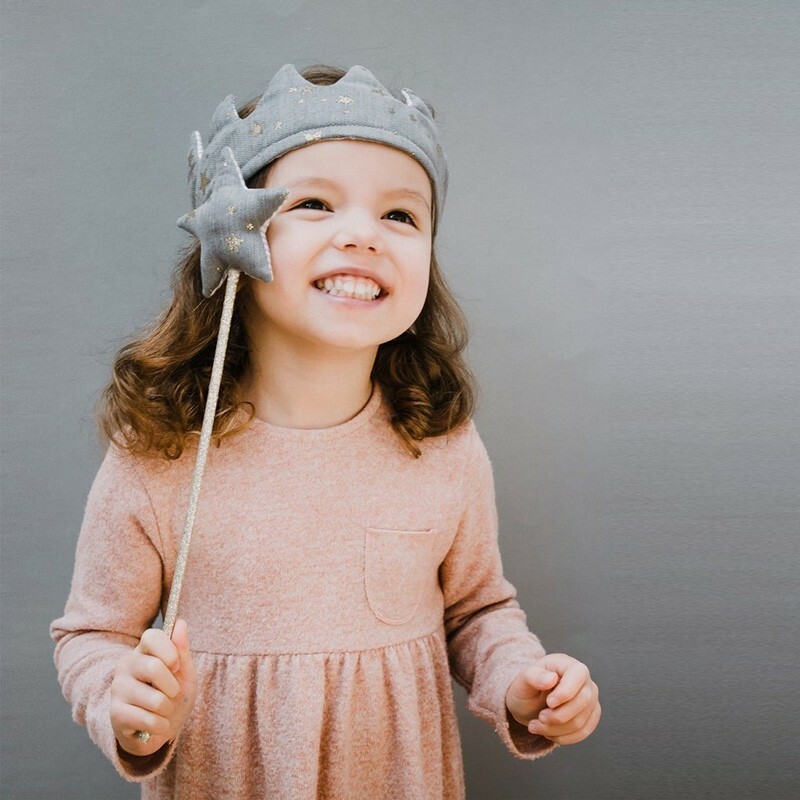 A lovely grey satin ribbon tie means that this fun crown can be adjusted to any children, making the size suitable for all ages from 3-10. With cool stripes on one side and a sparkly star print on the other, it can be worn either way depending on your mood!